Spent the day in Hastings with my son's partner and my gorgeous grandson Hamish. He is 3 months old and just discovering his voice. Making all those funny little gurgles that turn Nana into a blithering idiot who talks a strange language herself. Reminder to self. ..dont do the baby talk. It only confirms that I look and sound like an idiot. Dayn and I had a yummy lunch at the Thai Orchid, it's our favorite eating place. 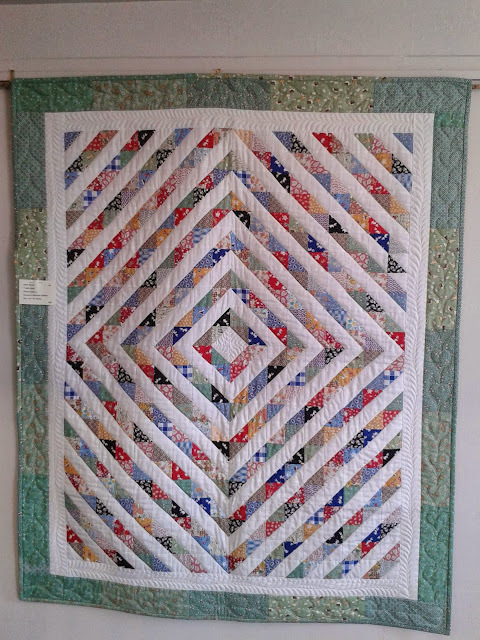 Hamish has his baby quilt hanging in this exhibition.